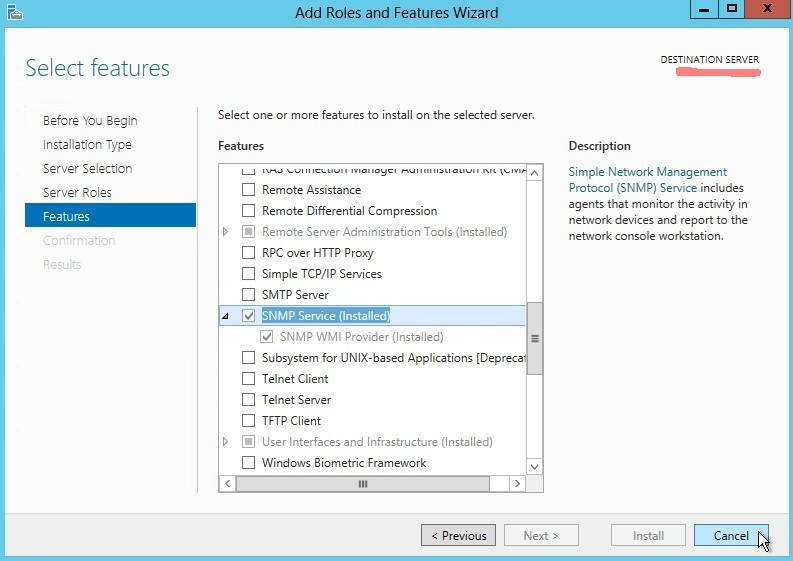 How to configure Microsoft System Center Operations Manager (SCOM) 2012 R2 as SNMP trap receiver for VMware vCenter on MS Windows? 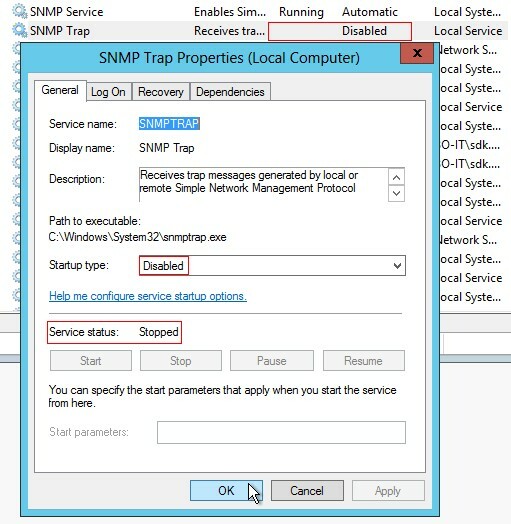 One of the most interesting and very often asked things is how do I configure SCOM 2012 as a SNMP trap receiver? The solution isn't really easy and a lot of SNMP basics are needed. 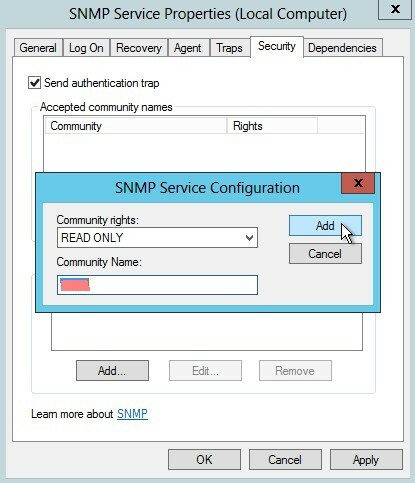 If your SNMP trap sending device isn't able to act as an typical SNMP agent, means that there can be an SNMP daemon running, you never ever get this device discovered by SCOM! That's the fact! 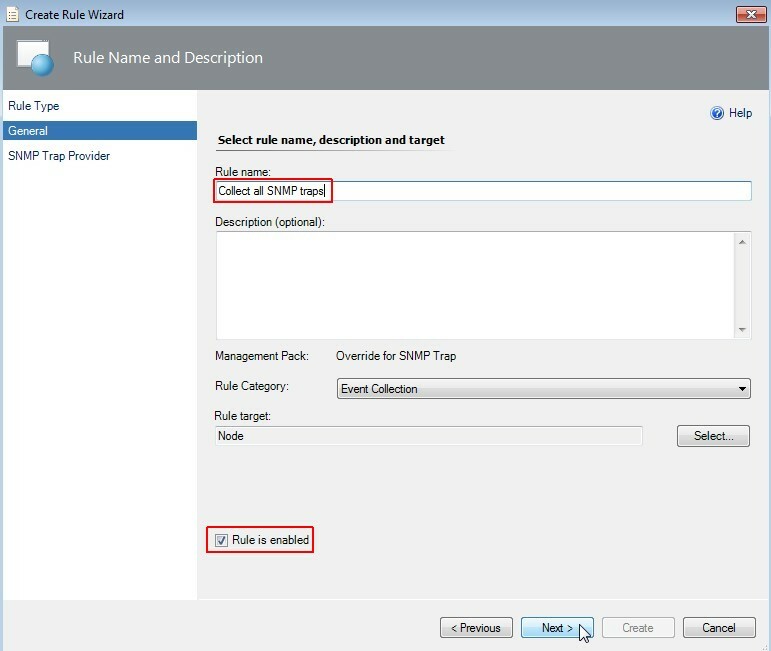 You should force a discovery for a specific SNMP version. 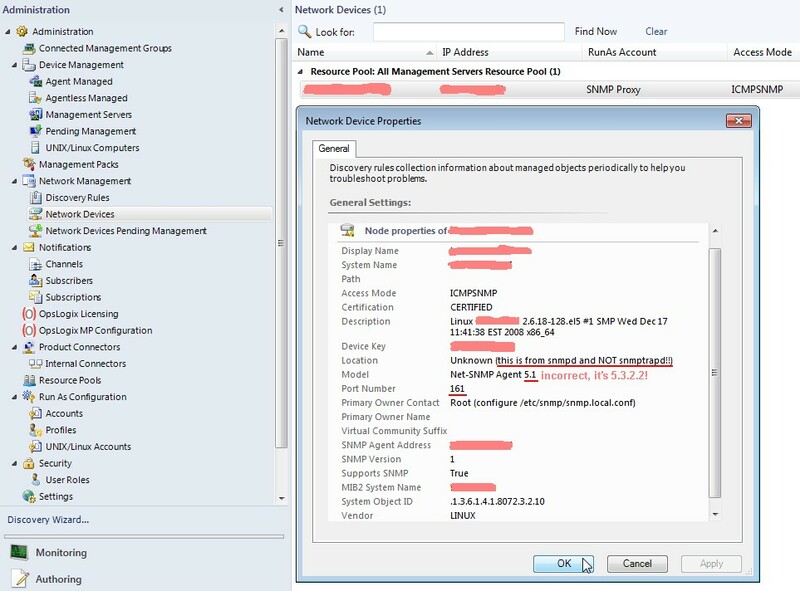 If the device is discovered as version 2(c) device, SCOM ignores every trap from this device if it is not a version 2 trap! 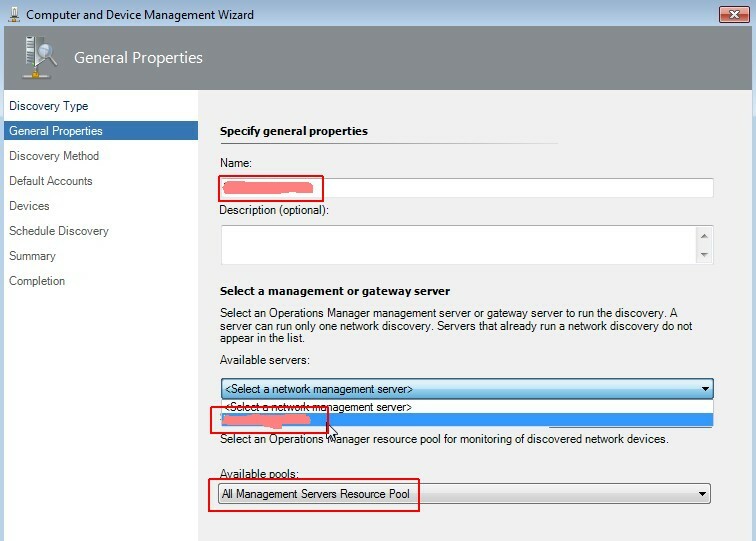 Provisioning of a RedHat Enterprise Linux 5 VM and installation of the net-snmp suite. This software package delivered a full featured SNMP daemon (snmpd) and additionally a snmptrap daemon (snmptrapd). All daemons (aka services) are highly configurable and there is very good documentation. 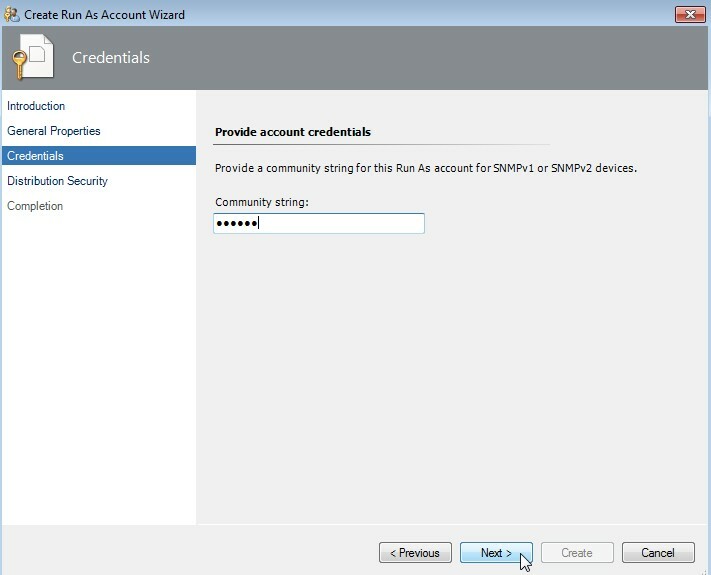 To act as a SNMP version 1 device is easy to configure. Just comment the v2c line. 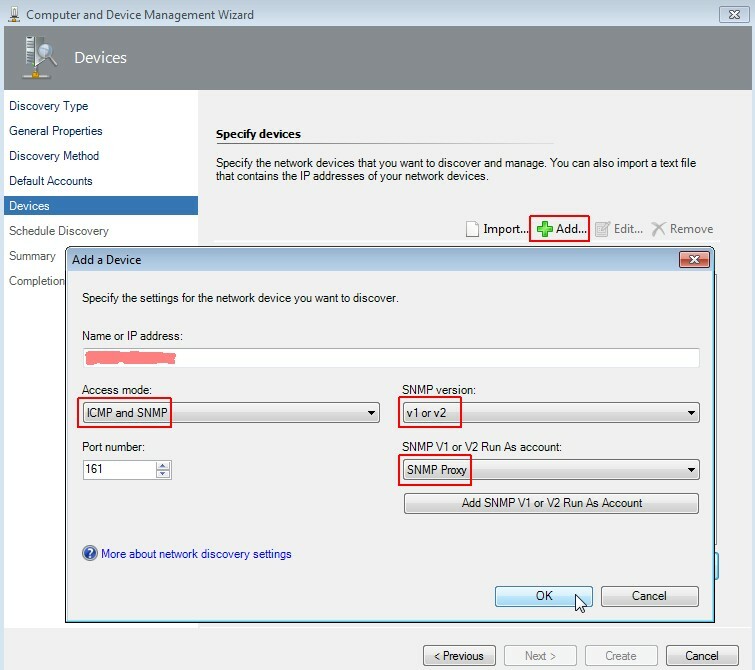 If this is all done, don't forget to save and configure SCOM to detect the new network device. Don't discover it as a Linux or Unix computer! Before performing the discovery I started a port scan with nmap and found that only port 161 is opened on the SCOM 2012 installation. 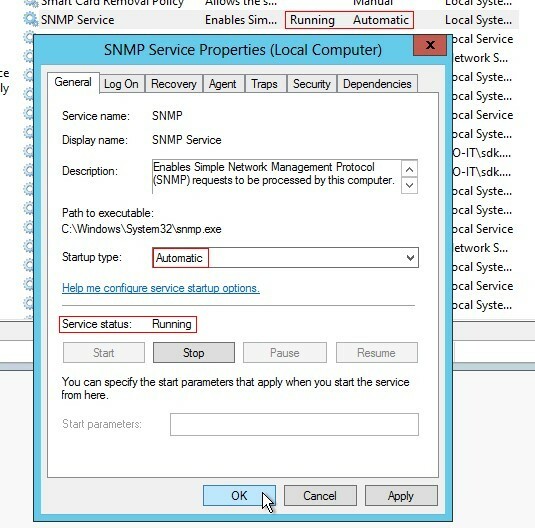 This is the reason why SCOM 2012 isn't able to act as a SNMP trap receiver out of the box unless the device discovery is successful done! 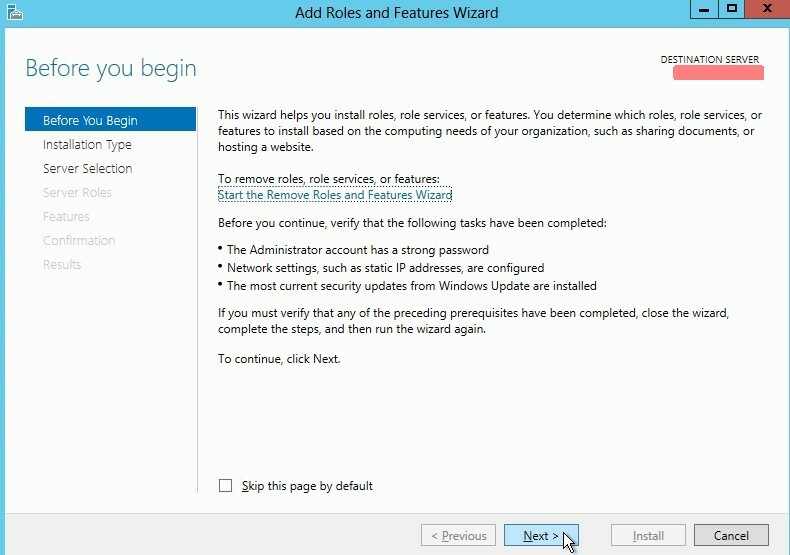 But now let us configure the MS Windows Server 2012 and the SCOM 2012 R2 update rollup 2 in several separate steps. 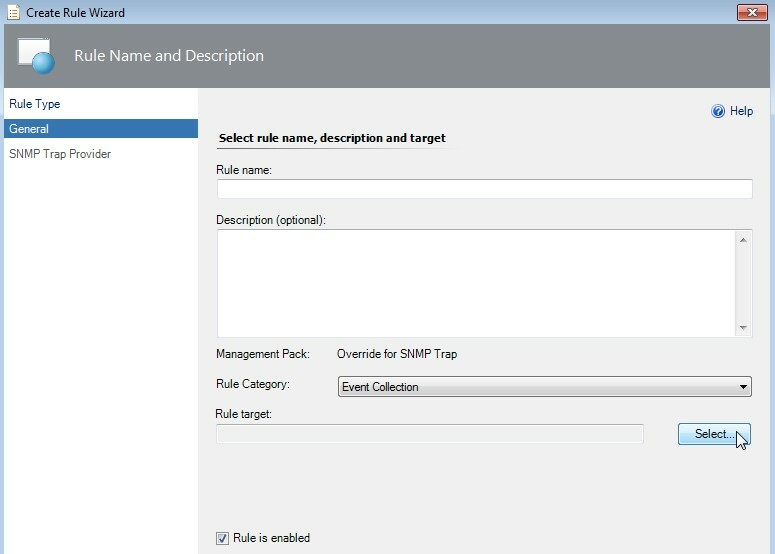 Enter a useful name like "Override for SNMP Trap". Click on Next. 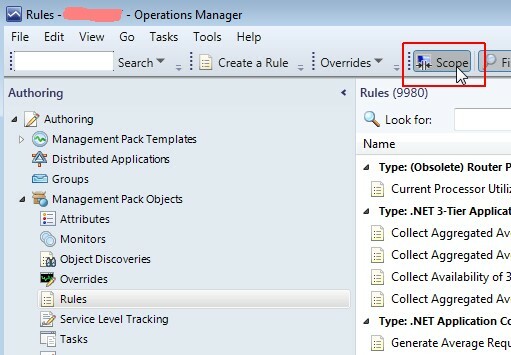 Enter a useful rule name like "Collect all SNMP traps". 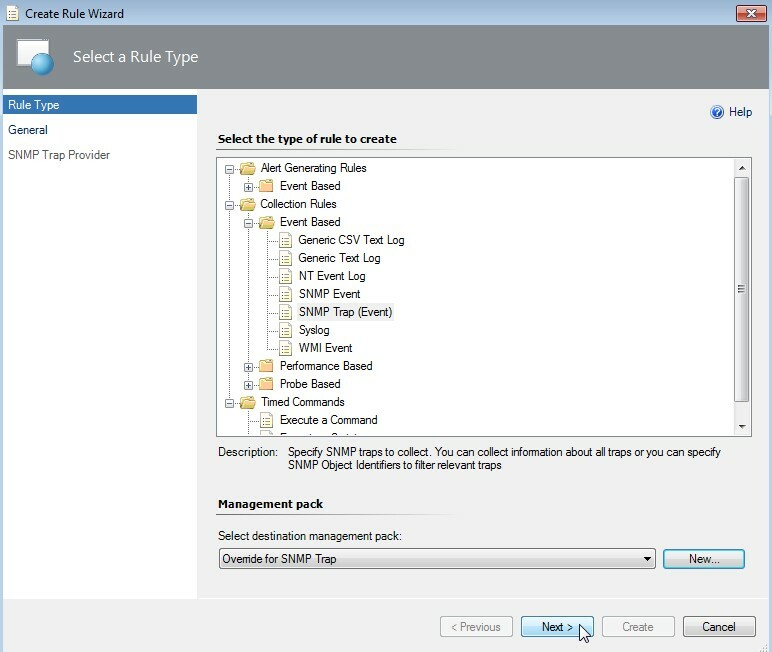 Check if rule is enabled and click on Next. 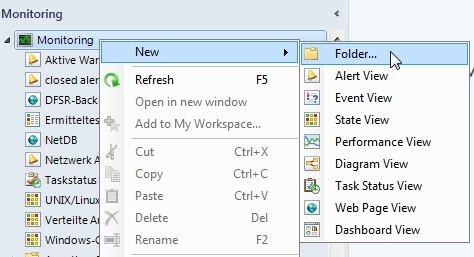 In SCOM 2012 R2 update rollup 2 you can leave the Object Identifier field empty. Click on Create. 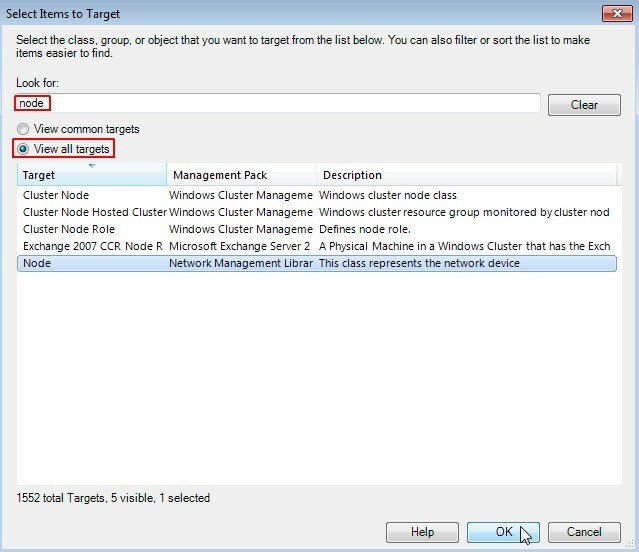 Enable the target "Node". Click on OK.
Click on Edit... near "Data sources". The Object Identifier Properties are empty. Click on Cancel. 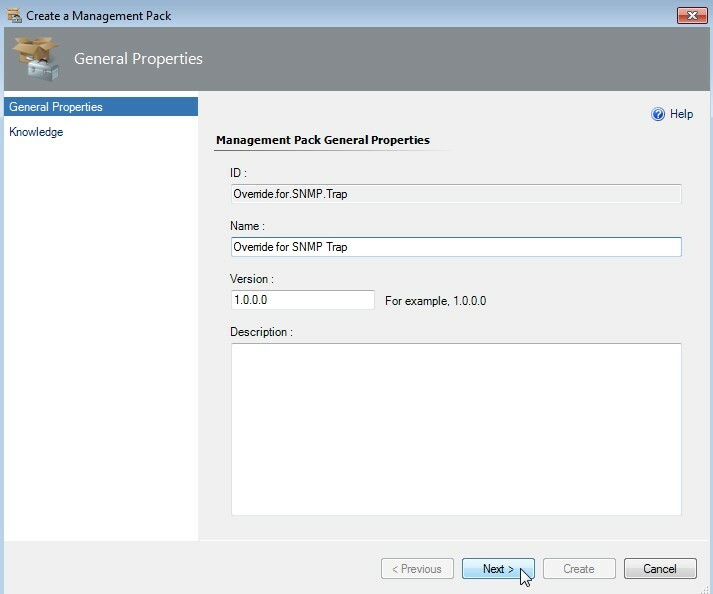 Enter a useful folder name like "SNMP Management" and select the formerly created MP "Override for SNMP Trap". Click on OK. 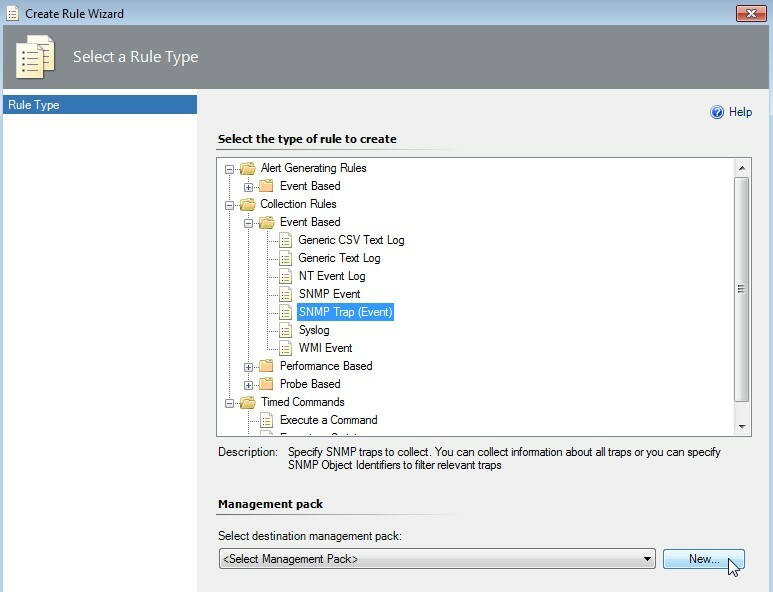 In tab "Criteria" choose "Node", select "generated by specific rules" and choose the "Collect all SNMP traps" rule. Click on OK. 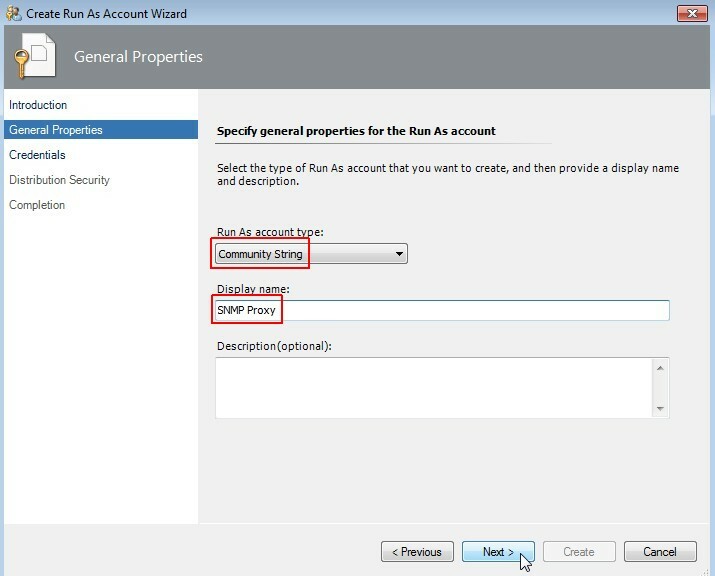 Choose "Community String" as account type and enter a useful display name like "SNMP Proxy". Click on Next. Enter the community string and click on Next. 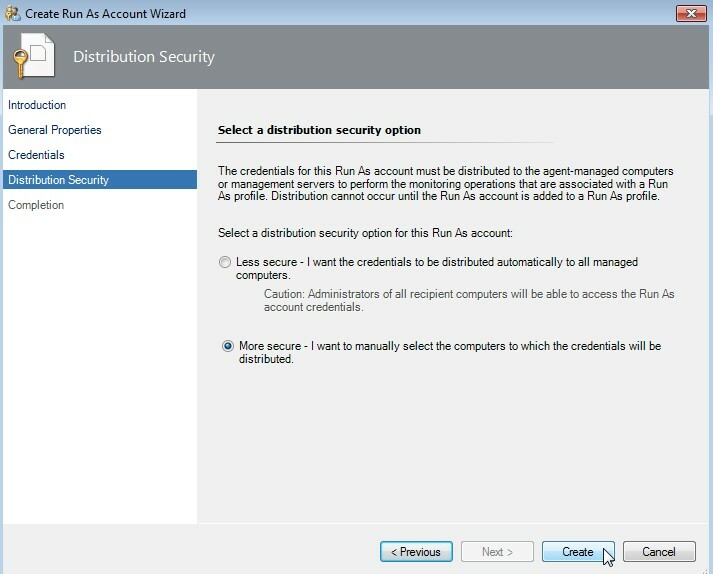 Choose "More secure" and click on Create. 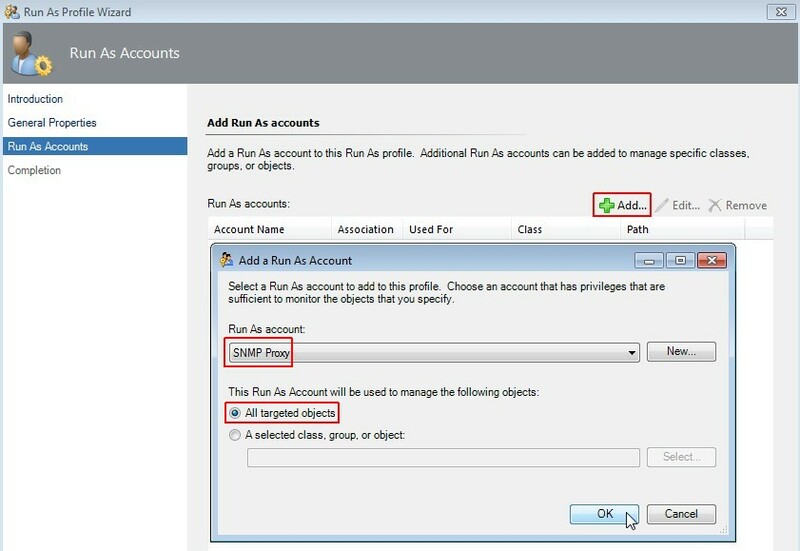 Enter the same display name "SNMP Proxy" like we used for the "Run As Account". Click on Next. 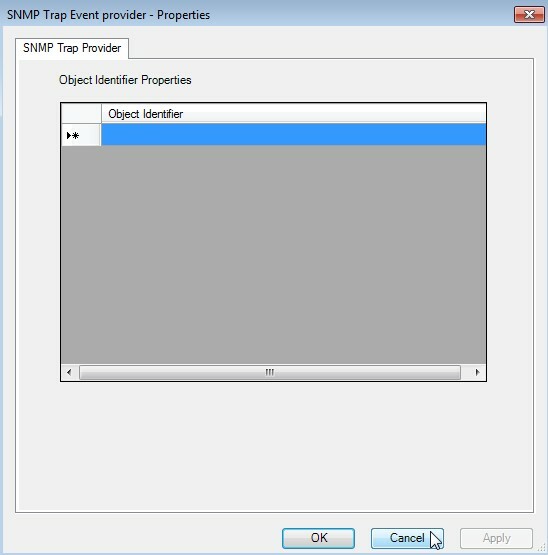 Select "Add", choose "SNMP Proxy" and select "All targeted objects". 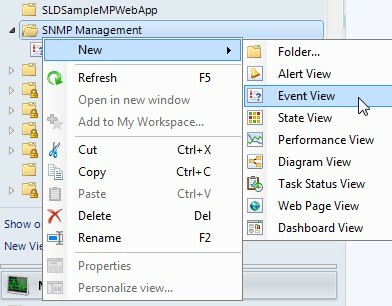 Click on OK.
First click on "SNMP Proxy" (green hook appeares) and then click on Close. 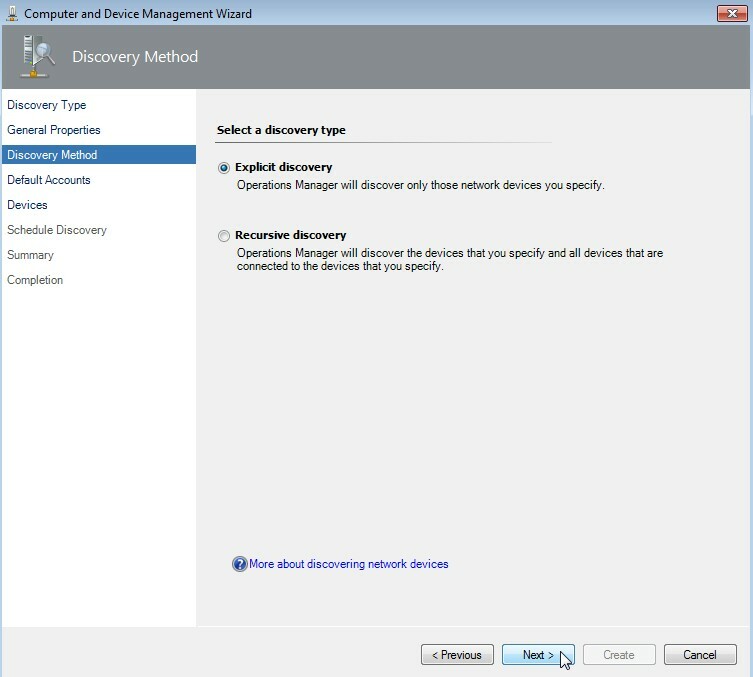 Select "Network devices" and click on Next. 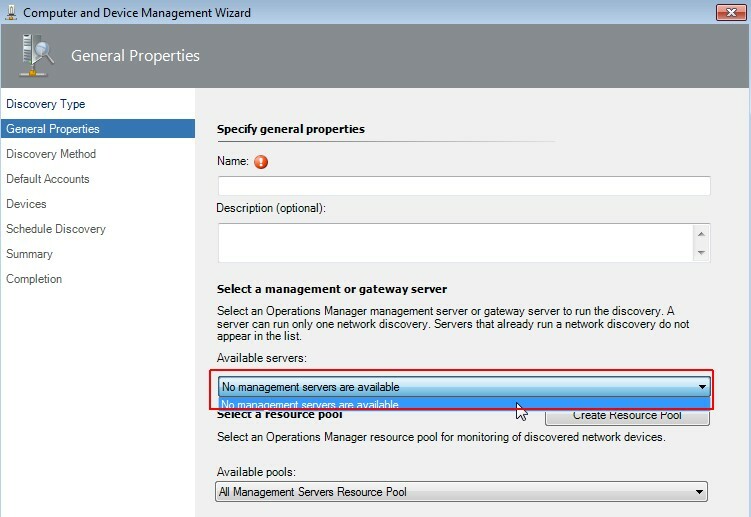 If there is just the message that no management servers are available, please check the discovery rules! 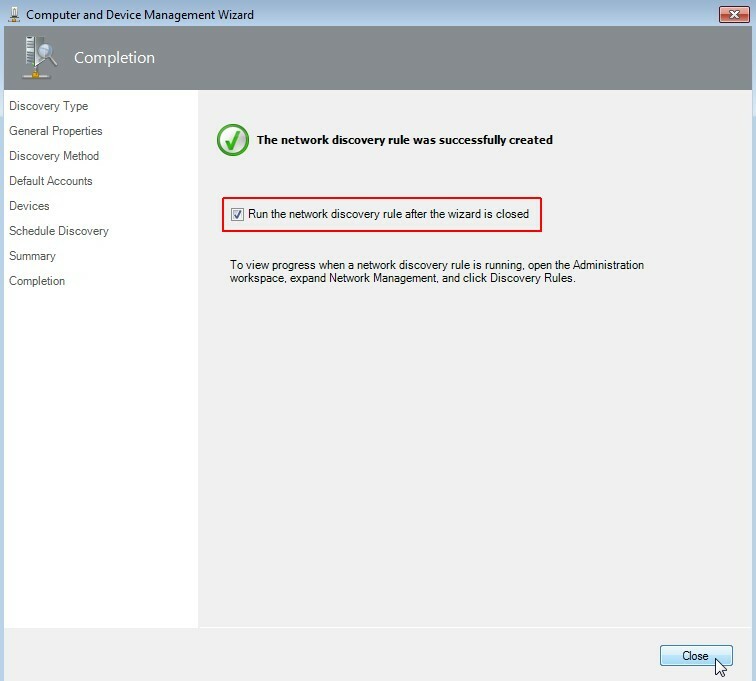 Go to Administration -> Network Management -> Discovery Rules. 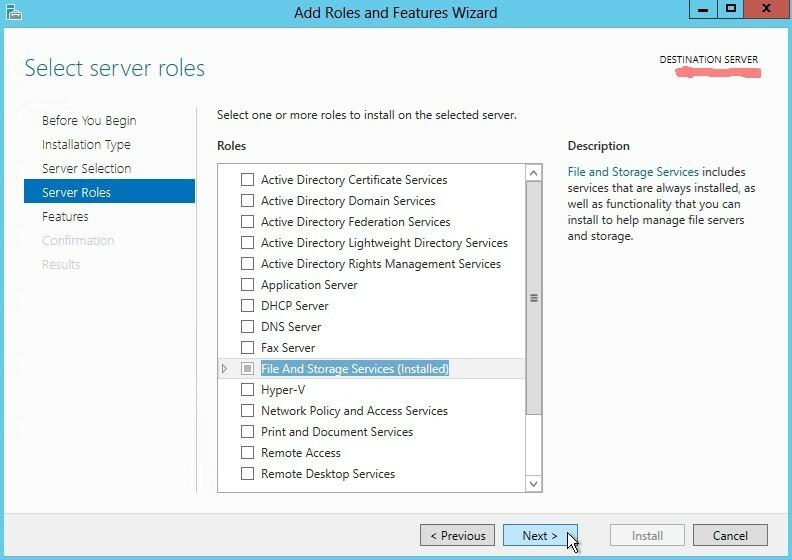 If there are all your SCOM servers listet, it is not allowed to configure any further discovery rule. You have to delete at least one rule to go further! Again I can't understand this behavior. Why isn't it possible to define various rules and select one of them for a specific discovery? 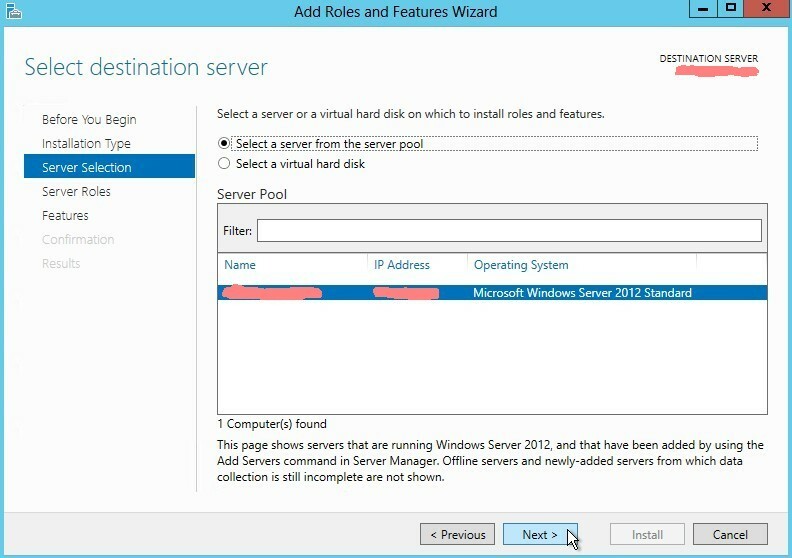 Once more a lack of functionality into SCOM. 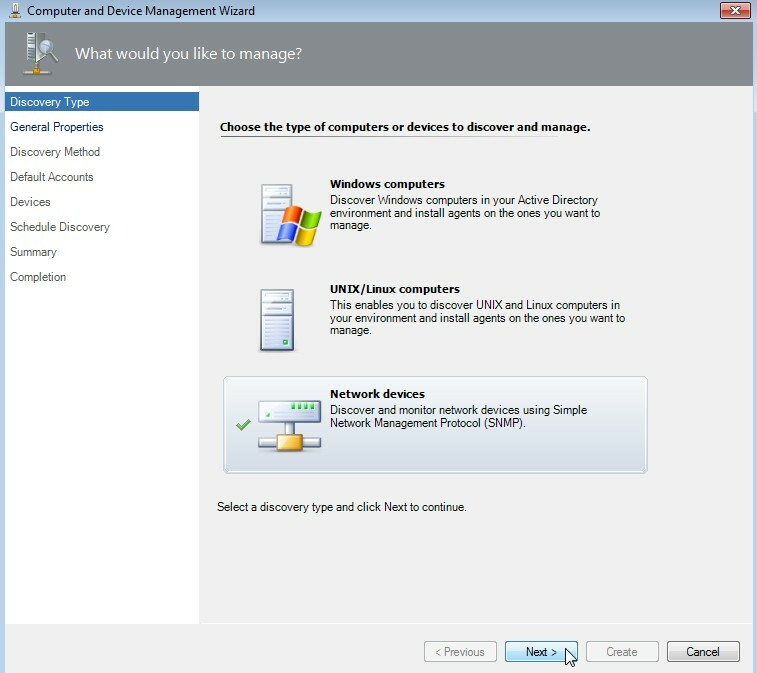 Enter the name (FQDN) of your network device, select a management server and pool. Click on Next. Select "Explicit discovery" and click on Next. 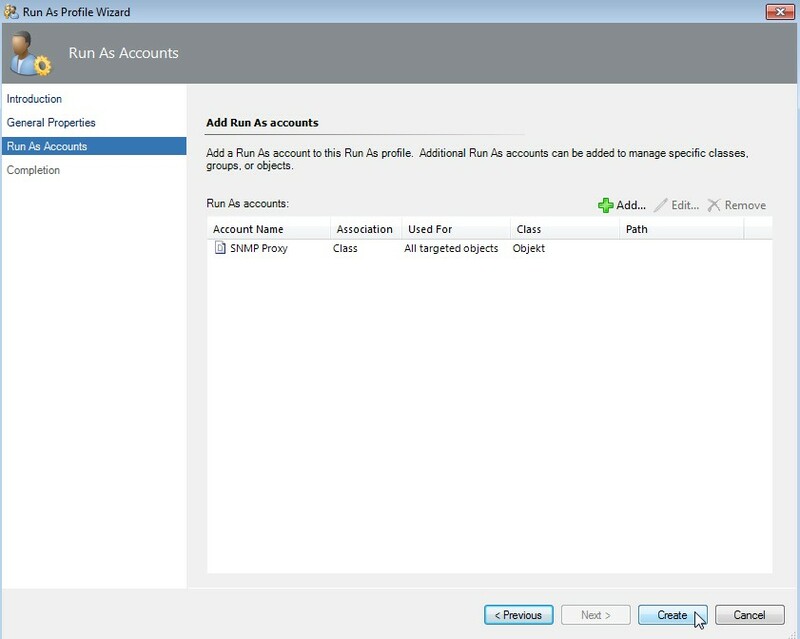 Select "SNMP Proxy" as account name and click on Next. 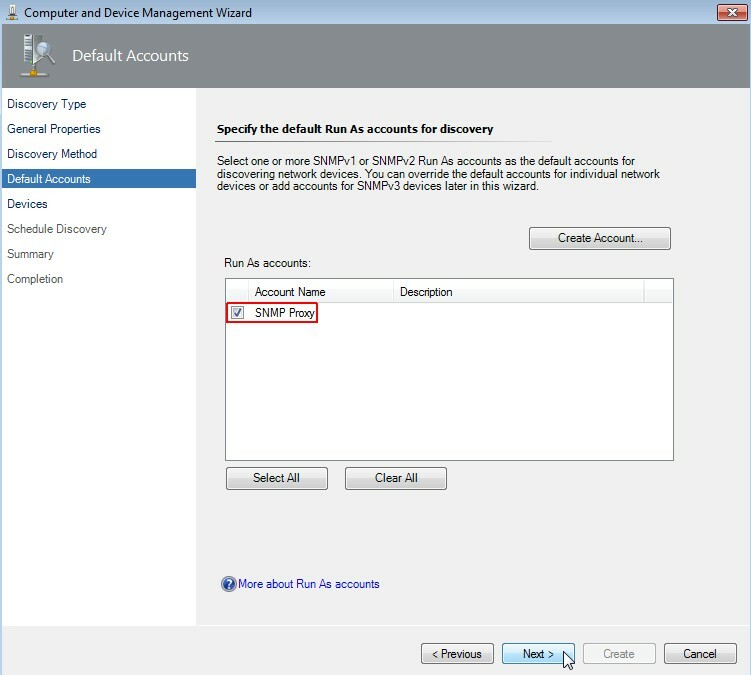 Click on "Add", enter name or IP of the device, choose "ICMP and SNMP" as access mode, select "v1 or v2" as snmp version and "SNMP Proxy" as account. Click on OK and then on Next. 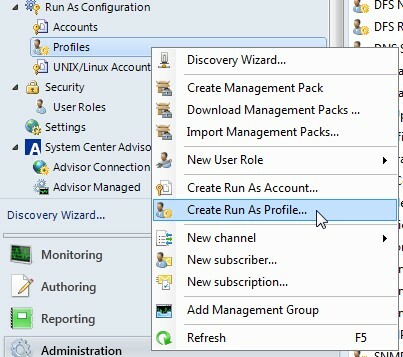 Choose "Run the discovery rule manually". Click on Next. 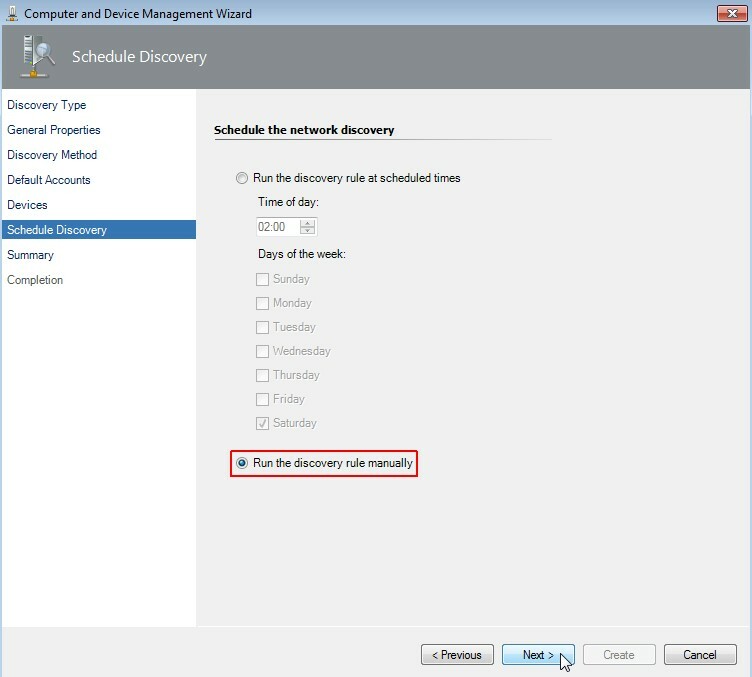 Select "Run the network discovery rule after the wizard is closed". Click on Close. And voila there is a new network SNMP version 1 device discovered on port 161! The information showed are mainly the content of snmpd.conf of the Linux server and not from snmptrapd.conf! Furthermore the net-snmp agent version seems to be hardcoded in SCOM, because the version displayed is older than the installed version. A nmap scan again shows that port 162 is now listening on the SCOM 2012 system. Now it's time to disable (stop) the SNMP daemon on the Linux server and try to send some SNMP traps. There is a command line utility which can be used for sending SNMP traps. Don't confound things, this is not snmptrapd! [root@<hostname> ~]# snmptrap -v 1 -c public <FQDN-SCOM> .1.3.6.1.4.1.8072.2.3.1 "" 6 17 "" .1.3.6.1.2.1.1.6.0 s "Just there"
[root@<hostname> ~]# snmptrap -v 1 -c public <FQDN-SCOM> NET-SNMP-EXAMPLES-MIB::netSnmpExampleNotification "" 6 17 "" SNMPv2-MIB::sysLocation.0 s "Just here"
shows following result in SCOM. 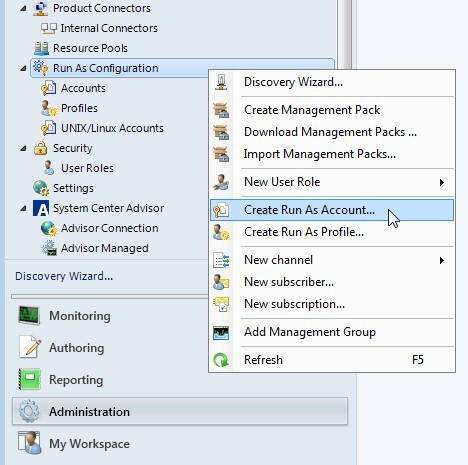 Please note that SCOM doesn't translate the OIDs to the appropriate entity names by itself! 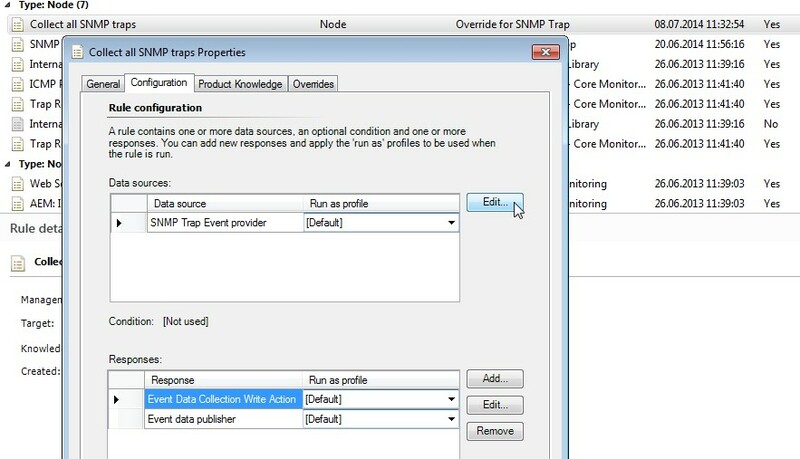 For the interested reader now a small collection of SNMP v2c and v1 traps and how SCOM detected them. 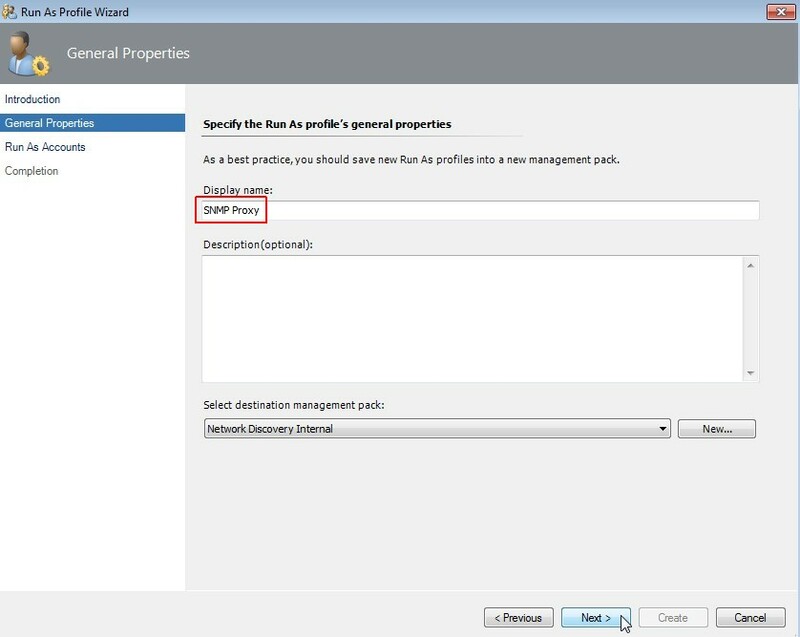 If you use the option -m ALL snmptranslate will scan the MIB directory, RHEL default is /usr/share/snmp/mib, parse all MIBs and build the entity names out of the OIDs. I've bundled the needed MIBs into a download file [vmware-mibs.tar.gz;82 kByte], which you can request here. 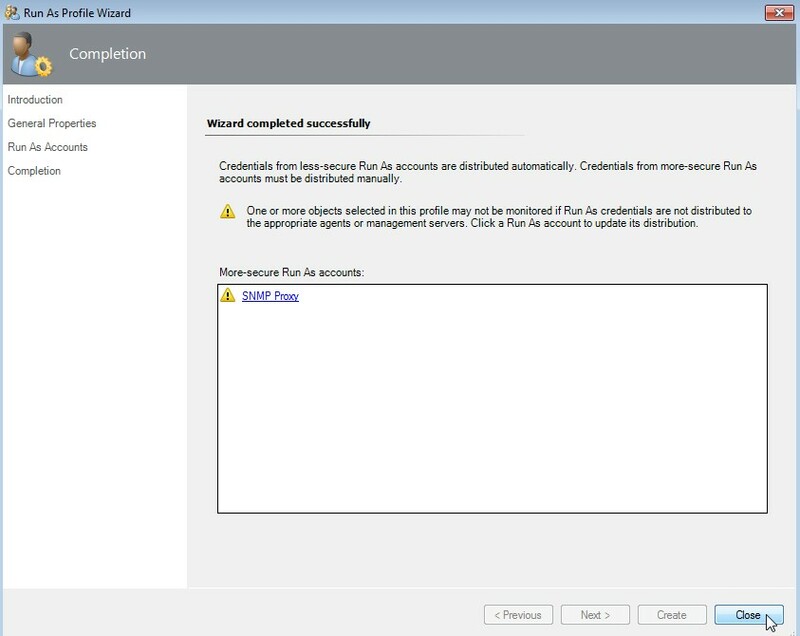 More information about the latest MIBs are available from VMware: http://kb.vmware.com/kb/1013445. This was a short trip into the world of object identifiers and entity names. Let us now switch back to real world. 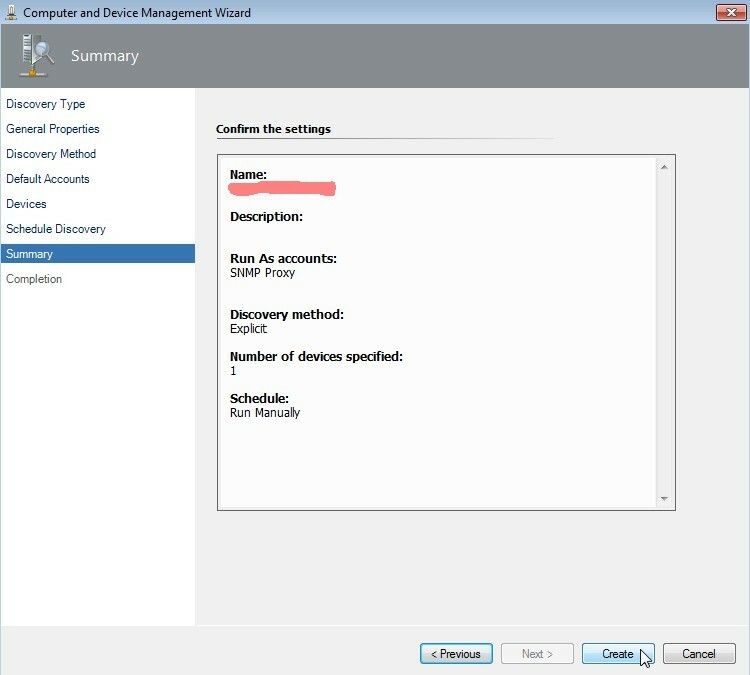 We are now able to discover a network device, which sends SNMP traps to SCOM 2012. 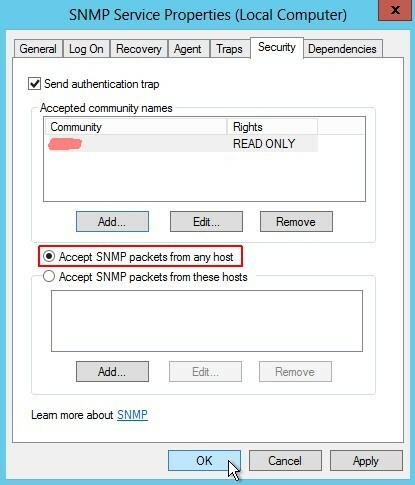 But what about network devices which are unable to answer SNMP requests but able to send SNMP traps? Is it possible to monitor them with System Center Operations Manager? The answer is: yes, but not the smart way. First you have to deploy a server like the RedHat Enterprise Linux I've mentioned above and configure it identical (hostname and ip address and SNMP version) to your network device. If this Linux server was successful discovered by SCOM just remove it and substitute it with the "real" SNMP trap sending network device. This should work pretty good! 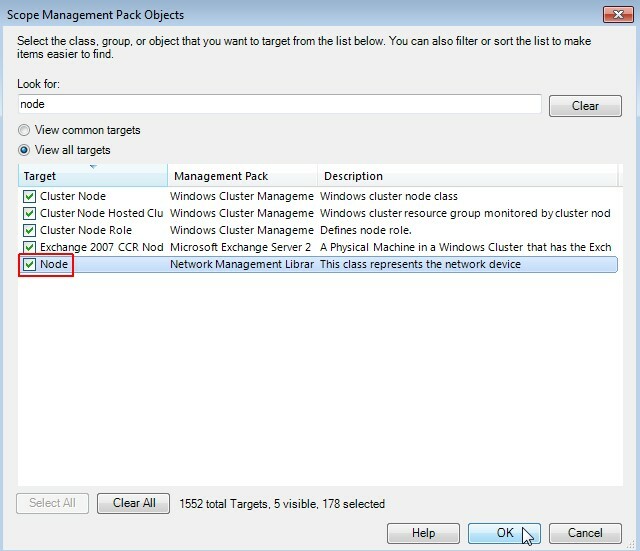 But beware the circumstance that SCOM 2012 just shows the object identifier and is not able to import MIBs! This is a severe shortage. 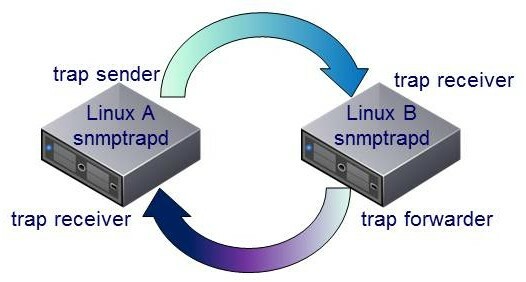 Linux A sends a snmptrap to Linux B. Linux B is configured as a forwarder for SNMP traps and sends the trap immediatly back to Linux A which is a snmptrap receiver, too. 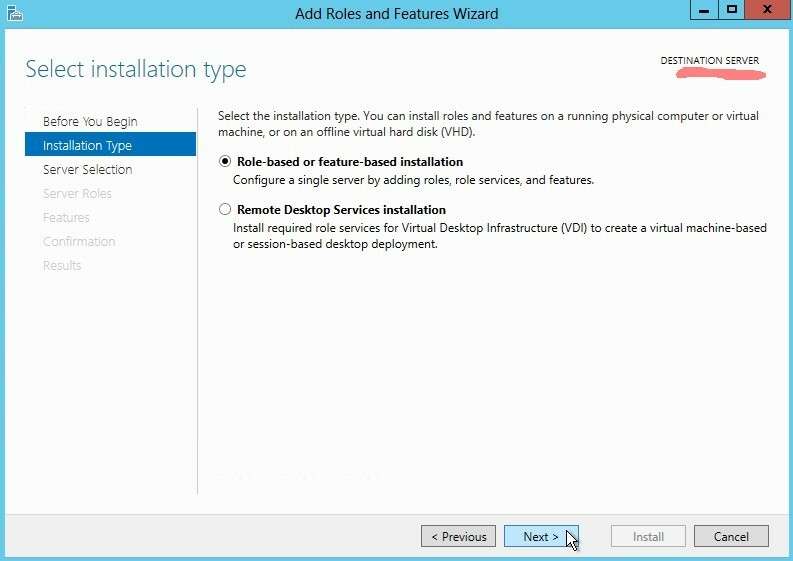 I do this without including SCOM to verify that the setup is full functional. We can monitor the behavior of the two systems by observing the content of /var/log/messages on both servers. [root@<hostnameA> ~]# snmptrap -v 1 -c public <hostnameB> .1.3.6.1 localhost 6 17 "" .1.3.6.1 s "Just a test"
Jun 18 14:46:04 <hostnameB> snmptrapd: 2014-06-18 14:46:04 localhost.localdomain [127.0.0.1] (via UDP: [<hostnameA-IP>]:38153) TRAP, SNMP v1, community public SNMPv2-SMI::internet Enterprise Specific Trap (17) Uptime: 265 days, 5:59:58.77 SNMPv2-SMI::internet = STRING: "Just a test"
Jun 18 14:46:04 <hostnameA> snmptrapd: 2014-06-18 14:46:04 localhost.localdomain [127.0.0.1] (via UDP: [<hostnameB-IP>]:37360) TRAP, SNMP v1, community public SNMPv2-SMI::internet Enterprise Specific Trap (17) Uptime: 265 days, 5:59:58.77 SNMPv2-SMI::internet = STRING: "Just a test"
As you might guess, the result is: nothing! I can't see any new trap into SCOM 2012 by using the last scenario, just the old ones sending direct from Linux B. Oh, what a mess! You see the forward rules, they are self-explaining. The next lines are trap handlers, I will tell a bit later about them. 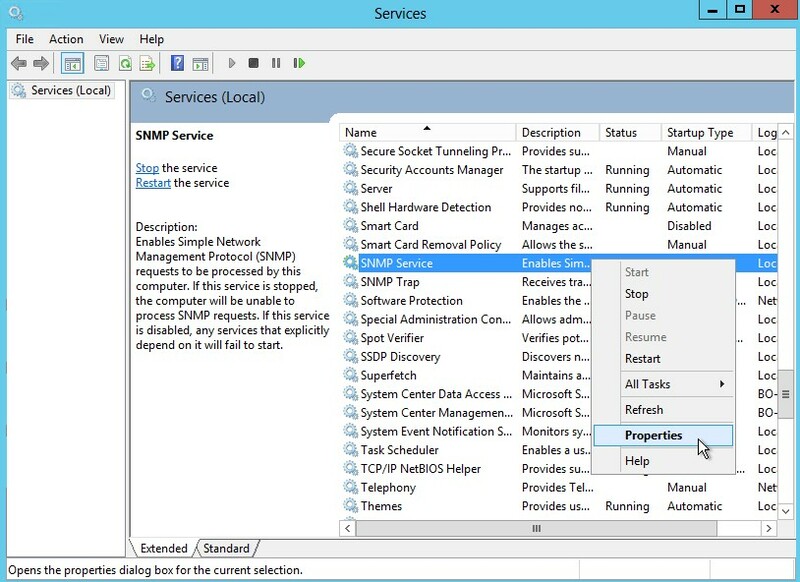 The last line (disableAuthorization yes) is needed if you use net-snmp v5.3 or greater. The trap handlers are able to execute a script if a specific trap is received. Because the forwarding doesn't work, what about triggering a new trap with the received values? Let's see what happens if we create the script. 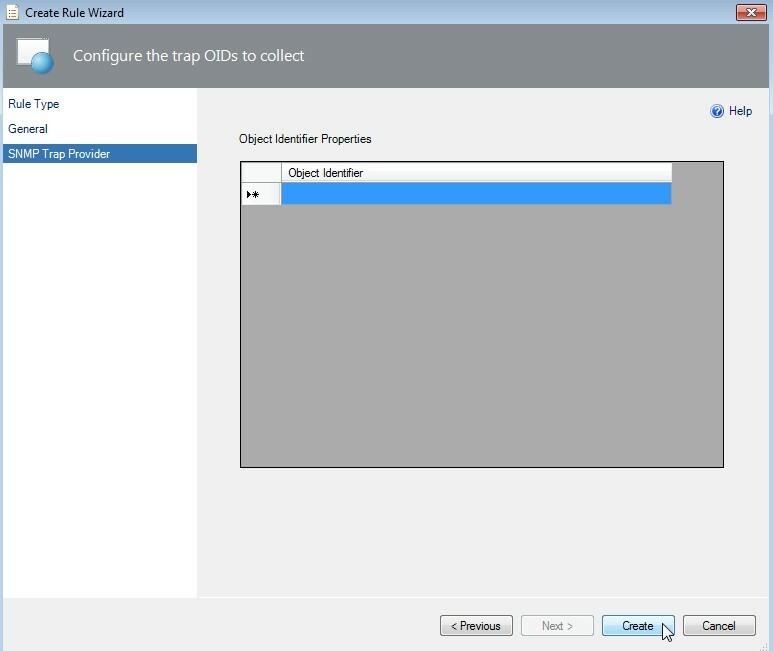 OPTIONS="-m ALL -Ls 3 -p /var/run/snmptrapd.pid"
To receive the vpxd diagnostic trap from vCenter every minute follow the kb article about how to change the default sending period of the diagnostic SNMP trap on vCenter: http://kb.vmware.com/kb/2020271. 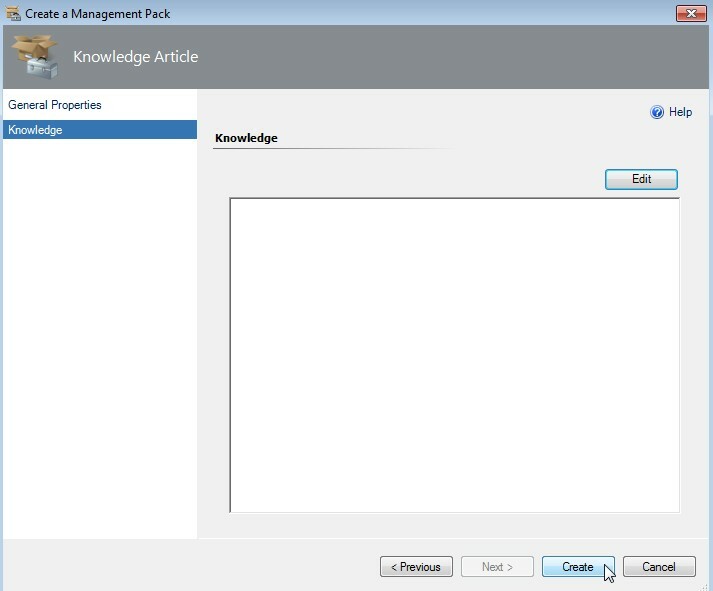 If you don't know how to send SNMP traps from vCenter there is a kb article, too: http://kb.vmware.com/kb/1006438. Yeah, we've got it! It works as expected. 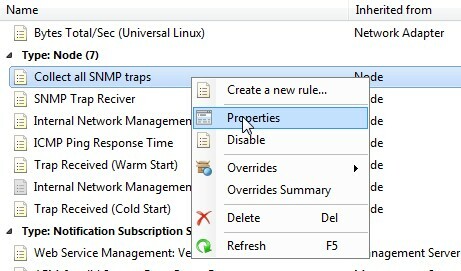 Now we can receive SNMP traps send by a vCenter Server running Microsoft Windows using a Linux server as a kind of trap rewriter. Now let me write some words about the configuration. 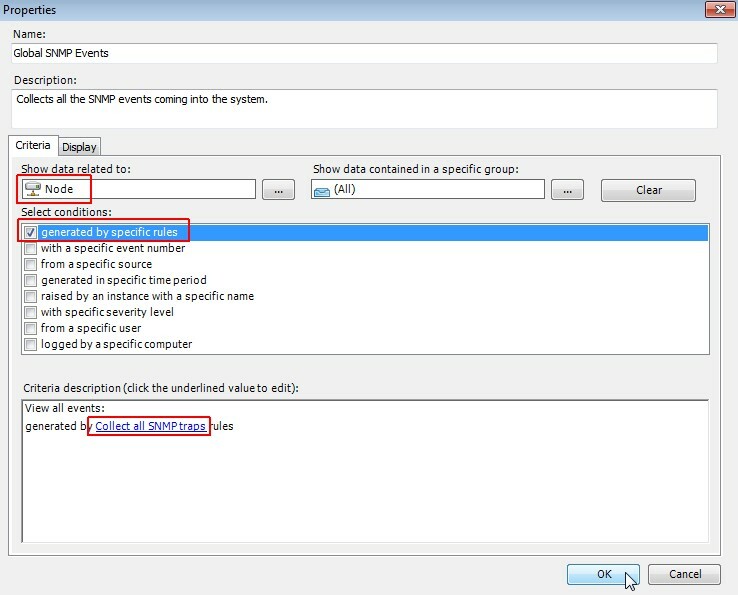 You may have recognized in snmptrapd.conf the duplicate lines, e.g. In your final configuration you could delete one of the lines. It doesn't matter if you use OIDs or entity names. In my opinion it's better to use the entity names, because they are more "human readable" instead of the OIDs. Additionally you can delete the forward lines, they are obsolete. 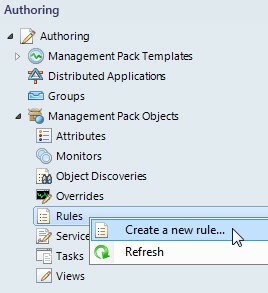 Now my dear reader is it up to you to build a free piece of software which displays the vCenter SNMP traps in a meaningful way into SCOM 2012. I've provided you with all information and tips I've currently discovered. You can download this page as pdf file [2000 kB].